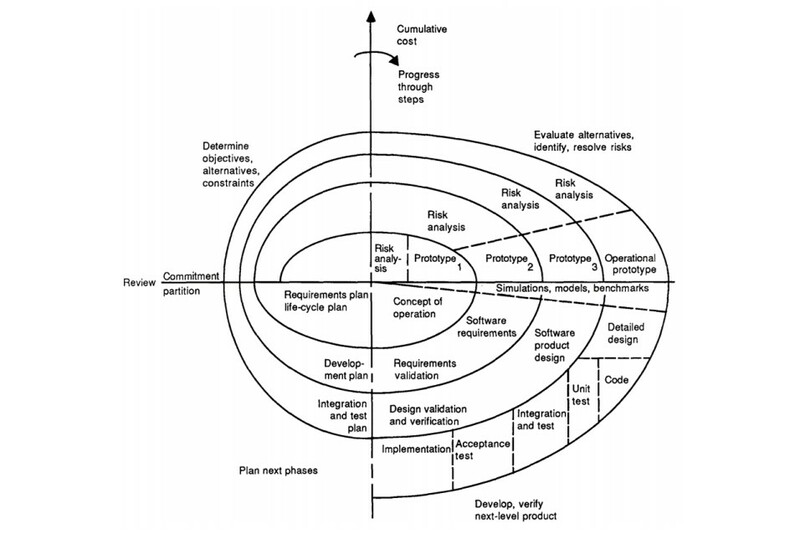 Spiral model was first introduced by Barry Boehm in 1986 and since then it has been one of the most preferred SDLC models for long-term and high-risk projects. 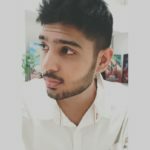 This blog will discuss this prodigious and widely used SDL model in detail. Software Development Model plays a significant role in the success of any project. Selecting the right SDLC model in accordance with the project needs ensures the timely delivery and quality development. On the flipside, an unsystematic and unplanned approach of developing the web application or software may have a miserable end. 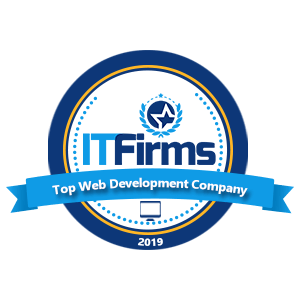 Thus, this breeds the need for selecting the best fitting Software Development Methodology in compliance with the product and project needs. And today, we’ll discuss one such Software Development Life Cycle model – Spiral Model. #1. What is Spiral model? #2. Understanding each quadrant (stages) of the model. #3. Benefits of the spiral model. #4. Drawbacks of the spiral model. #5. 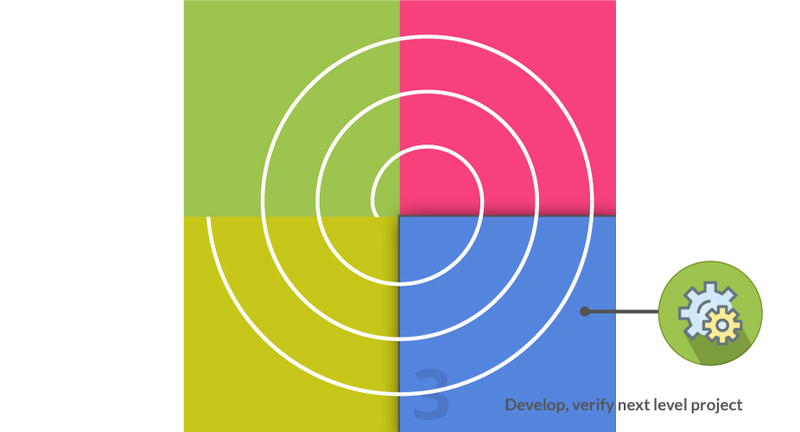 Why implementing the spiral model to your web app development is a good idea? #6. 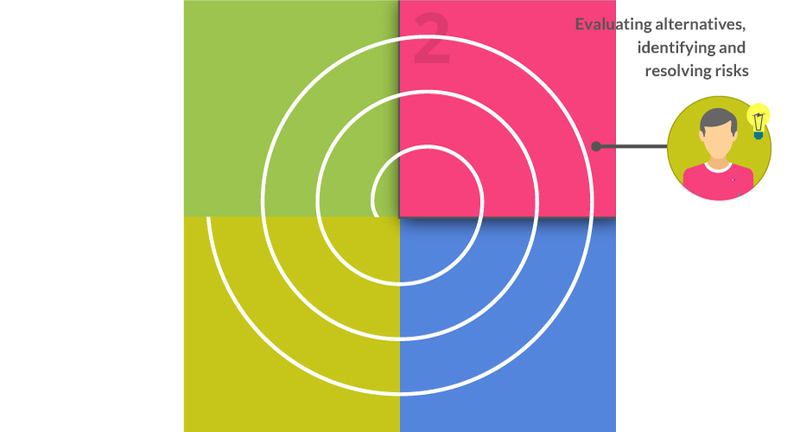 When to use the spiral model? The spiral model was first introduced by Barry Boehm in 1986 in his paper – A Spiral Model of Software Development and Enhancement as an iterative and risk-driven model of software development. It is one of the most preferred Software Development Life Cycle models for large and high-risk projects. The entire process of development is divided into four different stages which keep on repeating until the entire project is completed. These stages are Determining objectives, Evaluating risks, Developing the product and Planning the next phase. This entire process is represented in a spiral diagram and thus known as the spiral model. It is also known to be based on evolutionary development as the primary and important features are defined, developed and deployed first and then other necessary features are added with each the spiral or phases of the project. The spiral model of Software Development is also known for being quite flexible as the process of defining objectives, analysing risks, development and planning are done separately for each phase of the project. It also caters room for enhancements with each iteration of the project. Moreover, it is highly risk-driven as the success of the project depends upon the proper risk analysis. So, it is imperative to have a special risk analysing expertise at each phase. 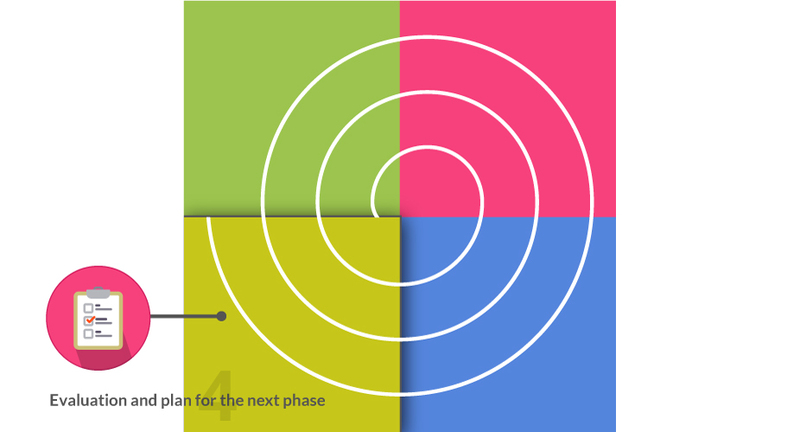 As you can see the figure above, the spiral model contains four different quadrant (stages) from which the web development process passes through repeatedly. This is the initial stage where all the requirements are collected, objectives are defined, constraints are evaluated and different alternative solutions for the development are proposed. This is the first and foremost stage of each repetitive cycle. At this stage, all the proposed alternative solutions are evaluated and the best is selected for the development. Further, risks that can hinder the success of the projects are identified and strategies are formed to mitigate or entirely remove these roadblocks. Once everything is done, prototypes are built at the end of this stage. The third quadrant is where the designing, development and testing of the web application happens. All the necessary development, using the selected technology and solutions are performed at this stage and with each iteration, a new and better version of the application is created. This is the last stage of the spiral where the developed project is evaluated and new plans are formulated for the next phase. What are the Benefits of the Spiral Model? Flexible – This SDLC model is highly flexible as changes can be incorporated during the later iteration of the development. Risk Management – With the spiral model, risks are analyzed at each and every phase of the product before moving forward. This helps to overcome or mitigate the possible risk. Customer Involvement and Feedback– Customers are involved in each phase of the project until the project is completed. Thus, feedbacks can be collected to improve the next version of the project. Perfect for a large project – The spiral model is considered to be the most preferable software development life cycle model for large and complex projects. What are the Drawbacks of the Spiral Model? Expensive – The spiral model can be quite expensive as it requires a high level of expertise for risk analysis. Even the projects take a huge amount of time to develop that can spike the overall expenses. Quite Complex – The spiral model is comparatively more complex than other SDLC models. There are many phases, each passing through different quadrants that increase the amount and efforts and documentation process. Time Management – One of the disadvantages of the spiral model is the time management as the number of phases are unknown. 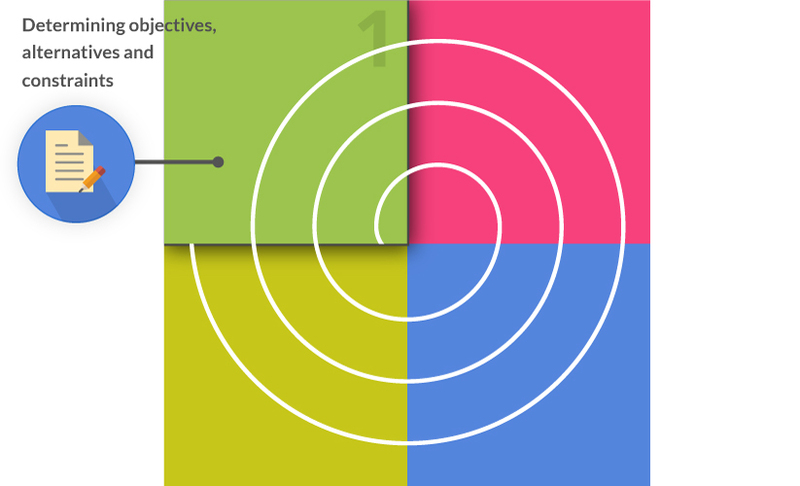 Why implementing the spiral model to your Web App Development is a good idea? At the time when the spiral model was introduced the software applications prevailed but with the ever-increasing influence of web technologies, the web applications took over. Now, the applications are catered over the web which is highly functional, flexible and can provide the user with the utmost sophisticated features. These web applications can be as simple as a calculator but could also get advanced and feature-rich like “Google Analytics”. 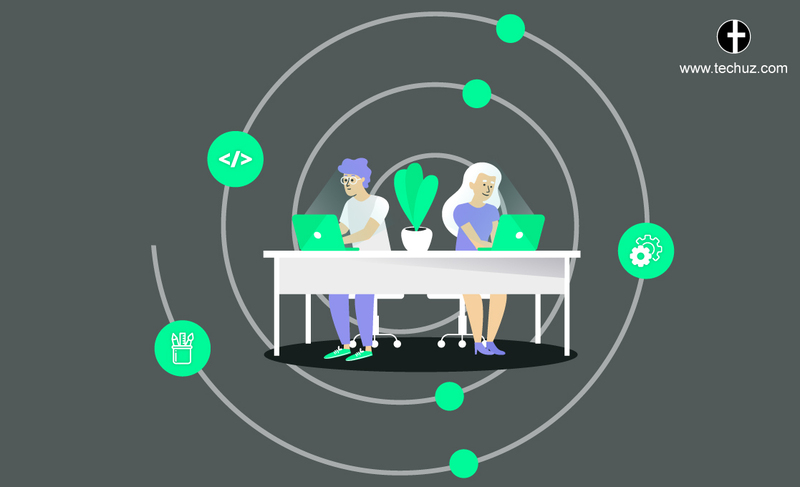 Thus, selecting the Spiral Software Development Lifecycle for your complex web-based application could reap you more benefits. So, when you must use the spiral model for your web application? 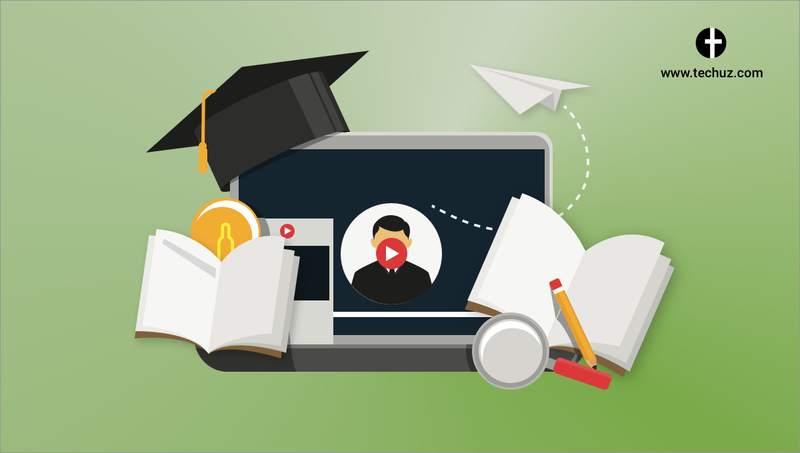 What is EdTech and What it Holds for Education and Startups?